Band Camp is the best way to start off the school year! This annual tradition is absolutely a worthwhile experience! 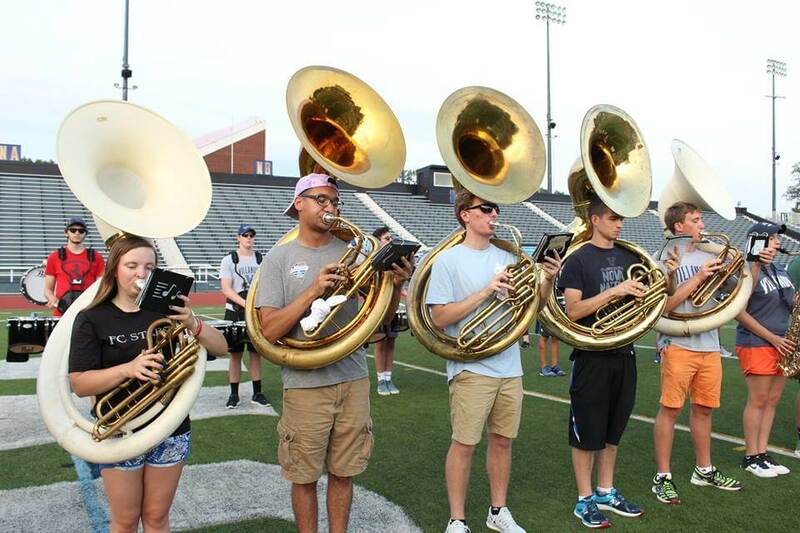 Incoming freshmen will have the chance to move into their dorms a week before Orientation starts and will get the opportunity to make friends with the rest of the band members before the school year has even started! 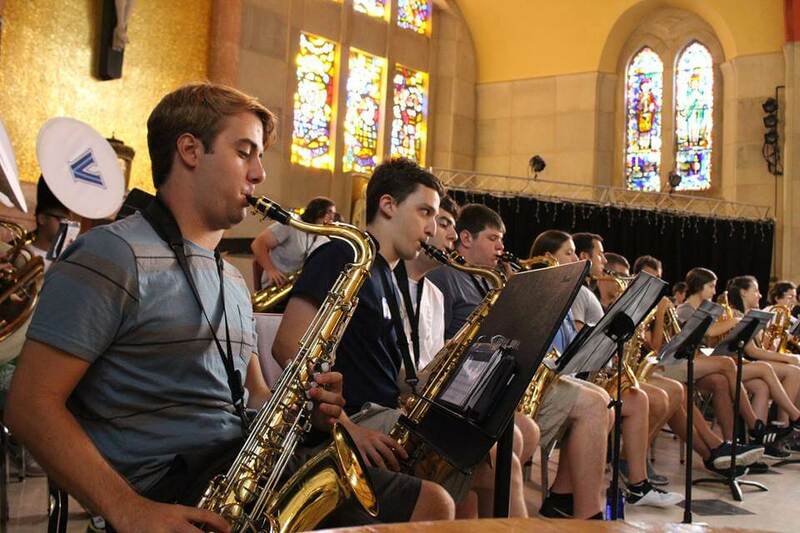 It is our hope that Band Camp will make the transition into college a little more comfortable. Making friends with other new students becomes much easier when you are surrounded by people who already have a similar interest in music. By eating all your meals, playing at rehearsals, and spending free time with these people, you are guaranteed to make many friends! This week is also an opportunity to get to know upperclassmen, which is an excellent way to start to feel like Villanova is a “home away from home”. These “seasoned veterans” will be there to answer any questions new freshmen may have about college life, and they will help create a relaxed, supportive, and fun environment. The Band will also assign a “Band Buddy” to each new freshman. This person usually plays the same instrument as the freshman with whom he or she is paired, and he or she will function as the new student’s “personal guide”. While a Band Buddy is certainly available to answer any questions about college, like the other upperclassmen, he or she will also provide more specific information about the day-to-day responsibilities of a band member and will hopefully become a close friend to his or her freshman. 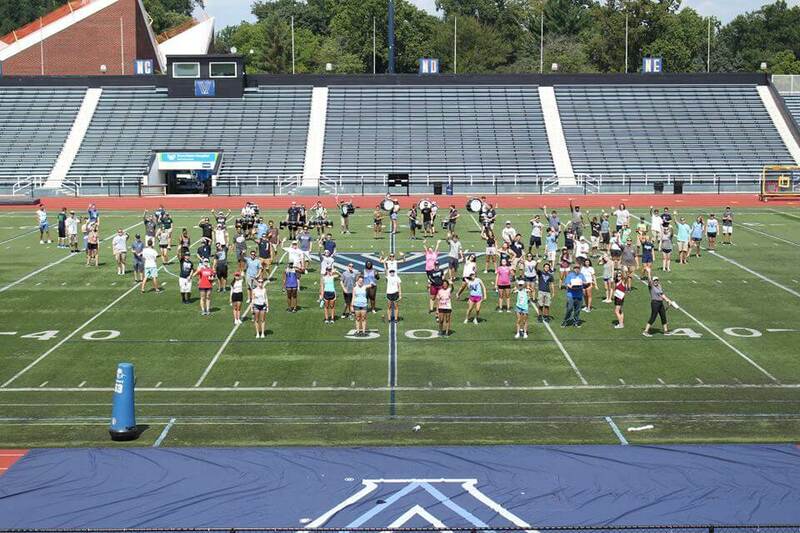 Finally, this week allows the Band to start preparing for our Parents’ Weekend performances, including the home football game on Saturday of that weekend. Towards the end of the week, the Band will get to practice formations, logistics, and new music on the turf of the Football Stadium as a culmination of our rehearsals. This is always very rewarding, and a lot of fun too! If you are interested in attending this awesome week, please fill out the following form, and we will send you more information soon!